The Right Key | Doppsonline.com Dopps Chiropractic: Our family bringing health to your family for over 40 years! You’ve been to an osteopath. You’ve tried physical therapy and faithfully did all the exercises they prescribed. But still your spine feels tight, rigid and locked up. In your case, Chiropractic may hold the right key. 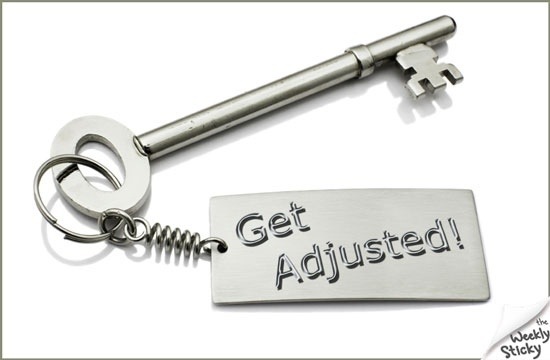 Unlike the gross manipulative therapy done by PT’s and osteopaths, or the general movement offered by prescribed exercises, specific Chiropractic adjustments ONLY target the parts of your spine that need work. Specificity is the key to results – knowing what spinal segments to move, when to move them and how much force to use is paramount to getting a favorable outcome… and that requires a skill set taught only in a reputable Chiropractic College. You wouldn’t use a sledge hammer to bust open your front door if the right key was handy to unlock it safely. The same goes for your spine. When it comes to unlocking a tough, painful back it’s best to seek the advice of a master spinal locksmith (a DC) who knows what they’re doing. In the long run you’ll save time, money and frustration hiring the right person for the job.